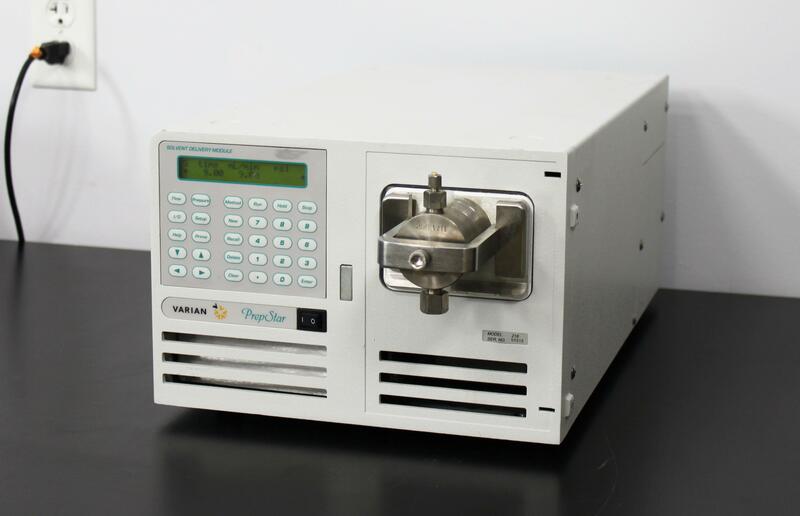 Varian PrepStar 218 Solvent Delivery Module HPLC Liquid Chromatography . New Life Scientific, Inc.
Our in-house technician inspected and tested this Varian PrepStar 218 Solvent Delivery Module, confirming it to be functional. It has a 200 mL/min pump head and the technician noted the pump functionality was great.